Pre-post favourite Savvy Coup left no room for excuses when she dominated her rivals in the Gr.1 Livamol Classic (2040m) at Hastings. 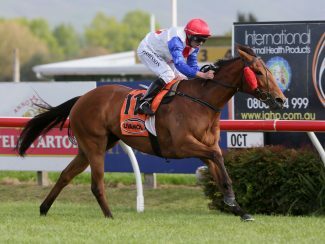 The Savabeel mare had been backed into microscopic odds on the Fixed Odds markets after she put a flashing light on her Livamol chances with a slashing run for second in the Gr.1 Windsor Park Plate (1600m) on the middle day of the Hawkes Bay carnival. 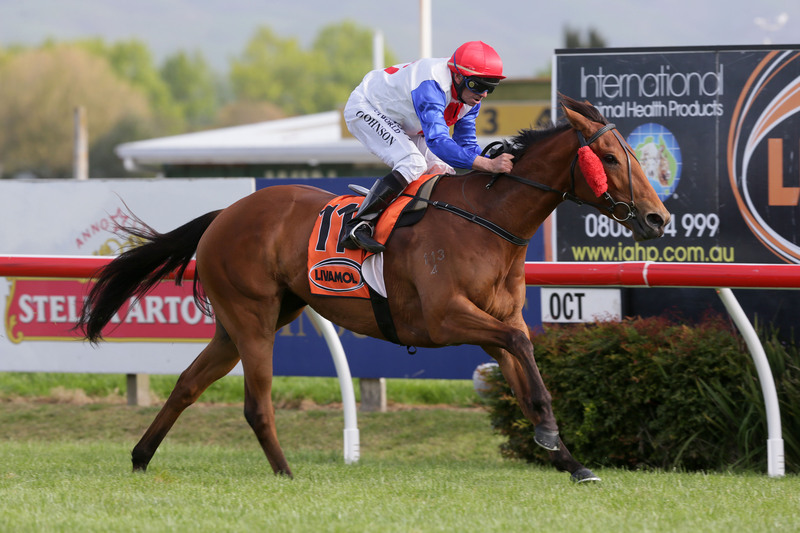 Handled impeccably by experienced jockey Chris Johnson, last season’s Gr.1 New Zealand Oaks (2400m) winner settled in a perfect position beyond midfield as pacemakers Big Mike and Saint Emilion set a breakneck speed in front. Johnson never panicked as he eased his mount to the outer at the 700m mark before looping the field to challenge on the home turn. Savvy Coup bolted clear with Johnson keeping her up to the mark as she hit the winning post more than two lengths clear of a game Lizzie L’Amour with Danzdanzdance closing well to pip Scott Base for third. An emotional Michael Pitman, who prepares the mare with son Matthew from their Riccarton base, was choking back tears as he fielded congratulations from a throng of well-wishers after the race. “I didn’t want to get ahead of myself but when she ran second the other day we were so confident,” he said. “She’s not a 1400m or mile horse yet she ran second to the best sprinter-miler in the country and was taking ground off her. “Chris was adamant she should have won that day but I was rapt to run second. Pitman, who is battling bowel cancer after being diagnosed with the disease back in February, will now look to fulfil a promise he made weeks ago with Savvy Coup destined to take on wonder mare Winx in the Gr.1 Cox Plate (2040m) at Moonee Valley on October 27. “I might not get there myself but the horse will,” he said. A typically laid-back Chris Johnson summed up the mare’s run after the race. “I think the 2000m helped as she got her chance to get going,” he said. “I was hoping to be a little bit handier but I got back as usual and managed to get her to settle. When I pulled out at the 700m she came into it real fast. The win brought up career victory number six from just 16 starts for Savvy Coup who is raced by a group that includes South Island identity Ray Coupland along with New Zealand Bloodstock’s Jim Bruford. The win was also a triumph for her breeder, Waikato Stud, who had earlier produced Gr. 2 Sacred Falls Hawke’s Bay Guineas (1400m) winner, Madison County.